Starting April 26 in Loppiano, the ADRIANOOLIVETTIANNOUNO meeting series will begin. Inspired by the 500th anniversary of the death of Adriano Olivetti, the meeting aims at relaunching and experiencing the innovative aspect of Olivettian thought. 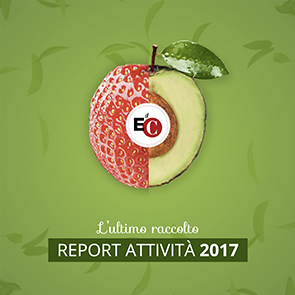 The initiative, organized by the Vita Eudaimonica Association, includes a number of events to be held throughout Italy between April and December. That first, to be held at Loppiano at the Lionello Bonfanti Industrial Park there, will face the topic The Idea of Community in Business Operations. Presenters will include Luigino Bruni, economist, Alberto Peretti, philosopher, plus the testimonies of entrepreneurs who have chosen the Economy of Communion. During the meeting, at 17:00, there will be the presentation of Isoline Bourgenot Dutru´s new book, "Utopia in Action" (Cittá Nuova Ed.). The book focuses on the figure of François Neveux, a French entrepreneur who began a plastics manufacturing business in the Brazilian Economy of Communion industrial park. His business used techniques that he developed himself in order to give work to people coming from marginalized classes, including those normally considered unproductive. The book is part of the cultural exposition "Meeting between the pages", promoted by L´Arcobaleno Valdarno bookstore (at the industrial park) until June 30. Throughout the world, there are evident signs of a new path. Many productive operations are already working on new schemes and objectives in order to face the crisis. The way towards a better future is already partially laid out, and the business philosopher Adriano Olivetti, opportunely revisited, can be a source of great inspiration today for a new economy attentive to civil and ethical commitment, in view of the social and existential well-being that goes hand in hand with the growth of the authentic value of each business. On this occasion, the Archipelago Eudaimonico will be launched. It is a group of Italian businesses that have adhered to the Manifest for Civil Entrepreneurship. Styled and promoted by the Vita Eudaimonica Association, the Archipelago already includes number of important national businesses. Coordinated by a scientific committee made up of Luigino Bruni, economist, Salvatore Natoli, philosopher, Alberto Peretti, philosopher, and Stefano Zamagni, economist, the ADRIANOOLIVETTIANNOUNO meetings will touch on and develop the themes of the value of ethics and aesthetics in doing business; the well-being of the person as a fundamental, intangible value; the idea of "entrepreneurial federalism", from which important suggestions can derive in order to relaunch Southern Italy through business. Main sponsors: Davines Spa and Volvo Truck Italy. Collaborators of the project: Testi Holding – Steelworks of Rubiera, Academy of Treatment, General Confederation of Italian Industry of Canavese, Comunità Solidali Consortium - Cooperative Group CGM, Economy of Communion, Philosophy Factory, Luigi Sturzo Institute, ValYou Farm. April, Loppiano: The Idea of Community in Business Operations; September, Parma: The Value of Ethics and Aesthetics in Business Operations; October, Como: Businesses of Solidarity in Olivettian Thought; October, Milan: The Well-Being of the Person as a Strategic Intangible Good; November, Rome: Work and Business as Political Dimensions; November, Vicenza: The Business as a Driving Force for Art and Culture; December, Ivrea: Synthesis and Results: Conclusions of the ADRIANOOLIVETTIANNOUNO Series.